The George Washington University School of Medicine and Health Sciences is located in the most vibrant, exciting, and powerful city in the world. We strive to have our entire program exhibit some of these same qualities, by providing exemplary evidenced-based patient care, cutting-edge transitional research and innovative medical education. 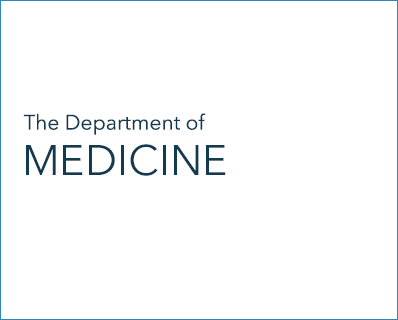 Explore the Divisions within the Department of Medicine. Are you an applicant? Visit the "About the Internal Medicine Residency Program" site for more information. View the upcoming Grand Rounds. Are you a current Internal Medicine Resident? Visit the Internal Medicine Residency Program site. Visit the Internal Medicine Residency Program website for applicants for more information about the program.